Just how Bowman Properties’ planned 8200 retail/residential project will look could be determined by several key events in the next week and half. 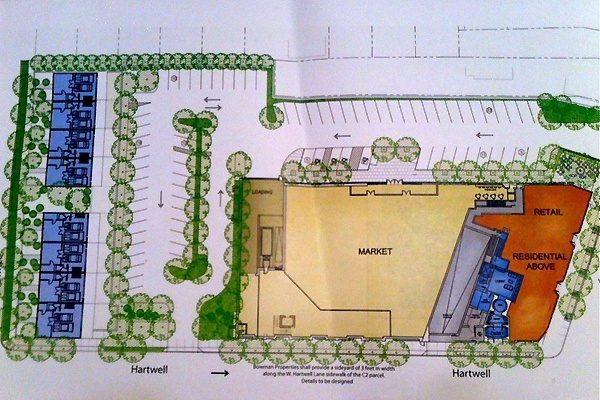 Background: Bowman Properties wants to bring The Fresh Market grocery store to 8200 Germantown Ave. In addition, there are several retail shops, condominiums, and townhomes planned for the block where Magarity Ford used to be. Supporters say: It will bring more consumers to the Chestnut Hill retail corridor and replace a vacant property. 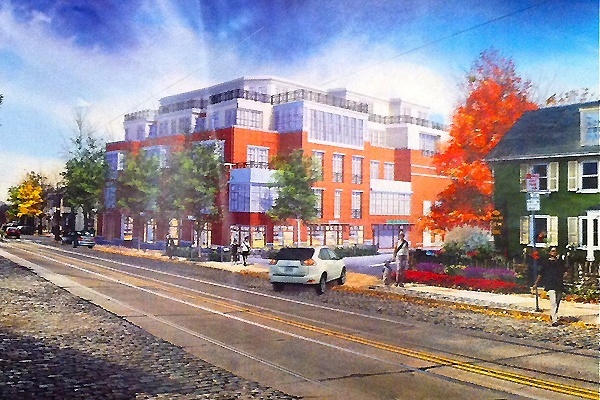 Critics say: It will increase traffic on nearby residential streets and the building is too tall and too close to Germantown Ave.
Wednesday, Dec 7 at 6:30 p.m.
Two committees with the Chestnut Hill Community Association could announce whether they support the 8200 project design. The recommendations will be taken into account by the full CHCA Board at its next meeting. Monday, Dec 12 at 7 p.m. 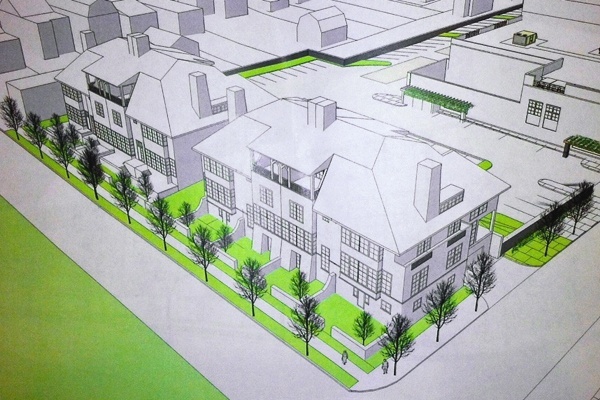 The CHCA Board is expected to make its decision on whether it approves of the 8200 project. Tuesday, Dec 13 at 1 p.m. The Philadelphia Planning Commission will taken into account the CHCA vote at this meeting. This will be important because the PPC will make a decision whether to recommend passage or not of three City Council bills that would rezone the 8200 Germantown parcel and reverse the traffic flow for one street bordering the project. Thursday, Dec 15 at 10 a.m. This is the final City Council meeting of the year. All bills that are not approved are considered dead. In January, the new City Council is sworn in beginning a new session. Bill No. 110762: An Ordinance To amend the Philadelphia Zoning Maps by changing the zoning designations of certain areas of land located within an area bounded by Germantown Avenue, Hartwell Lane, Shawnee Street, and Southampton Avenue. Bill No. 110763: An Ordinance Amending Title 14 of The Philadelphia Code, entitled “Zoning and Planning,” by amending Chapter 14-1600, entitled “Miscellaneous,” by amending Section 14-1613 entitled the “Germantown Avenue Special District Controls,” by providing certain exceptions and controls for eligible mixed use projects, all under certain terms and conditions. If these bills are passed and signed by Philadelphia Mayor Michael Nutter, Bowman Properties has the green light to begin construction of the project at 8200 Germantown Ave.